Egypt is overhauling its cotton industry with the introduction of modern equipment but the move may have adverse effects on the cultivation of its high-quality, extra-long staple cotton. The modernization process is to include replacing obsolete machines in tens of state-owned cotton weaving, ginning and spinning factories that don’t handle the local production of extra-long staple (ELS) cotton. They operate only with imported short-staple cotton. Some of the machines in ginning factories date to 1878, Public Affairs Minister Hesham Tawfik said. He said the modernization process would include merging some cotton plants, with the aim of increasing production four-fold in the coming years. Funds to finance the project, he said, would come from the sale of unneeded textile industry assets. Egyptian officials are trying to instil new life into its textile industry, which contributes almost 3% of GDP, employs one-third of the industrial labor and generates exports worth $2.6 billion annually (15% of Egypt’s non-oil exports). The industry was, however, beaten out in the past two decades by the invasion of cheaper products from other countries. Textile factory machines used to whirr loudly and spool hundreds of thousands of metres of the finest fabrics, feeding on Egypt’s unparalleled ELS cotton. The first modernized ginning plant is to begin operations in April in the central province of Fayoum. It is among 11 ginning plants being overhauled, along with several weaving and spinning factories. There are fears the modernization plan will have far-reaching effects on the cultivation of Egypt’s renowned ELS cotton and exports to international markets. 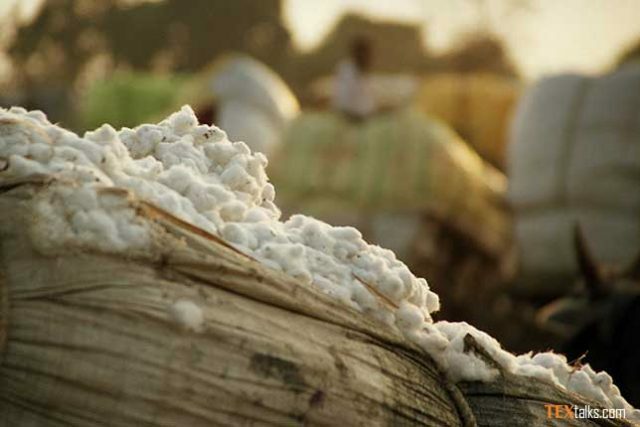 There is meagre demand for ELS cotton in the local market, where 65% of textile factories operate with short-staple cotton imported from Greece, Sudan and Syria. Egyptian factories imported 1.1 million tonnes of short-staple cotton last year. With the factories’ modernization, the government will start growing short-staple cotton. That means an increase in space for its cultivation at the expense of ELS. Last year, more than 120,000 hectares were cultivated with ELS cotton, an area that shrunk to around 80,000 hectares this year. Cotton farmers sustained big losses last year. Some 14,000 tonnes of ELS cotton could not be exported. Egypt is trying to adapt to the needs of its textile industry. Prime Minister Mostafa Madbouli in February ordered the formation of a scientific and academic panel to oversee a plan for the cultivation of short-staple cotton. The plan has not been put into effect yet but the space cultivated with cotton this year will come down to 84,000 hectares. This is a far cry from the approximately 810,000 hectares cultivated with ELS cotton in the early 1980s when revenues from raw cotton exports outweighed revenues from any other sector.